John P. Wilkin has been named university librarian and dean of libraries at the University of Illinois at Urbana-Champaign, effective Aug. 16, pending approval by the U. of I. Board of Trustees at its July 24 meeting in Chicago. Wilkin is an associate university librarian at the University of Michigan, where he also leads Michigan’s library information technology and publishing divisions, including the University of Michigan Press. 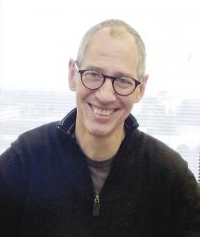 He also is the executive director of the HathiTrust Digital Library, an online repository established in 2008 to unite the digitized collections of more than 60 research libraries, including the U. of I.’s, in an effort to preserve the published cultural record. Wilkin will replace Paula Kaufman, who has served as university librarian since 1999 and as dean of libraries since 2007. “On behalf of the entire university community, I thank Paula for her years of dedicated service, and for her stewardship of the nation’s largest public library,” Adesida said. When she steps down as dean, Kaufman plans to focus on teaching. At the national level, Wilkin has served on committees for the Association of Research Libraries, as well as the Research Libraries Group and the Online Computer Library Center.